Is Your Credit Score Affecting Insurance Rates? First-time car buyers tend to ask this question frequently. That’s because car insurance companies rarely disclose how they determine customers’ monthly payments. Your credit score is just one of the many factors used to determine your auto insurance quote. If you’ve just bought a car and feel confused about how your credit score will impact the monthly insurance payments you’ll get, fear not. Today, you’ll learn why auto insurance companies request for credit scores and how to get an affordable plan despite your credit ratings. 1. Why do auto insurance companies ask for your credit score? 2. 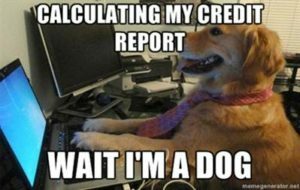 What information do they look for in your credit report? 3. Do you build credit by paying auto insurance? 4. Does a bad credit score affect your auto insurance rates? 3. Does your credit score affect the price you pay for insurance? A car insurance plan is a long-term contract. An insurance provider needs to ascertain your ability and commitment towards paying your quotes on time by analyzing your credit report. This information helps to determine the applicant’s auto insurance score. What is an auto insurance score? It’s a three-digit rating used to predict the probability of a client filing for compensation. An excellent credit score enables you to also have an excellent auto insurance score. Why? Because it indicates that, you have a low probability of filing for compensations. Car insurance companies ask for a credit report in order to analyze your payment history. It’s a reliable indicator of whether you’ll pay your insurance premiums on time. Payment history also shows whether you clear your debts or flee with outstanding payments. Auto insurance providers will assess your financial ability to afford a premium by looking at types of credit used recently. Car owners who frequently borrow payday and emergency loans tend to get expensive auto insurance quotes due to their constant need for credit. Car insurance companies also look at your credit limit. Having a high credit limit earns an auto insurance provider’s trust. No, you don’t improve your credit score by paying your car insurance premiums on time. If you look at a car insurance contract, you’ll realize that insurance companies don’t offer compensations on credit terms. Unlike secured loans, you don’t pay any collateral in order to receive a car insurance cover. What happens to your credit score when you skip payments? Your credit score remains the same however, your auto insurance score decreases. Insurance companies record your payment histories and share this information with your future auto insurance providers. Well, it depends on whether your federal government allows auto insurance companies to determine monthly quotes using credit scores. New York seems to be the worst place for car owners with subprime and bad credit scores. Why? Because most car insurance companies charge them double the rate of a driver with an excellent credit rating. On the other hand, California, Hawaii, and Massachusetts are friendly towards car owners with subprime and poor credit ratings. Sometimes, banks and other credit lending institutions report incorrect information regarding your debts to credit reference bureaus. For instance, when getting auto loan refinancing from a different creditor, your bank forgets to report that you cleared the original auto loan. This can happen when requesting for a balance transfer in order to clear an outstanding car loan balances with a 0% interest credit card. Make sure you download your credit report today and check whether your past creditors reported the correct information to credit reference bureaus. If you find mistakes, go to the respective offices and raise your issues. With motor vehicles becoming more affordable annually, there’s a rising demand for affordable car insurance providers. This current situation creates a highly competitive car insurance industry that favors you and other drivers. You’ll realize that competition pushes car insurance providers to offer various bad credit insurance plans. Rational customers take time to visit each auto insurance company in order to compare prices. It might take you a couple of days but you’ll definitely enjoy paying cheap car insurance premiums for the next five years. When a car insurance agent examines your credit report, they also check your credit borrowing habits. Car owners with excellent credit scores tend to borrow loans twice or thrice annually. This enables them to spend their credit limits within the CFPB’s recommended range of 30%. On the other hand, debtors with subprime and poor credit scores borrow loans monthly or after a couple of months. These individuals also have multiple credit cards because they max out their credit limits fast. Auto insurance companies have to charge high auto insurance premiums because this group of car owners tends to submit payments really late or skip several payments in a year. As long as you have bad credit scores, you’ll always receive expensive interest rates on new credit cards, bank loans, and mortgages. If your employer relocates you to a different state where auto insurance companies have the freedom to determine monthly payments based on credit scores, you’ll bear the financial burden by yourself. Smart car buyers seek help from credit experts. Fortunately, you can receive professional guidance by sending us an email or visiting our offices. Complete Auto Loans has a team of credit officers and financial advisers with decades of experience in this area. You won’t pay anything to make a phone call or send an email. We’ve understood that skipping auto insurance payments affects your auto insurance score. A bad auto insurance score lasts for years and so does its effect on your future payments. Smart car owners take proactive steps towards improving their credit scores. You actually don’t need a lot of money to make these improvements. The most important rule is paying your debts on time.